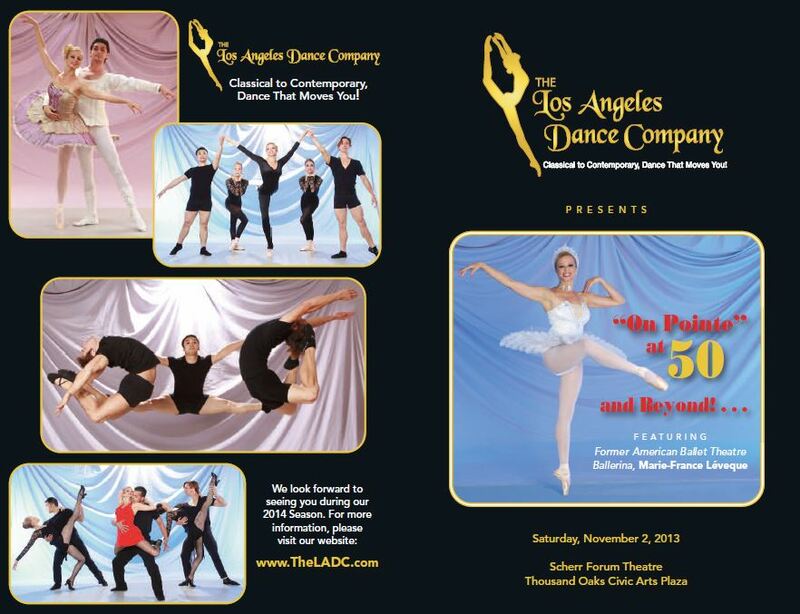 “On Pointe” at 50, and Beyond! Just turning 50, Former American Ballet Theater Ballerina, Marie-France Lévesque returns to the stage and on pointe with distinguished Star Guest Artists and ensemble from her Los Angeles Dance Company after a serious car accident stopped her dance career 14 years ago. ABOUT THE COMPANY!We welcome your Support! “Dance is Movement, and Movement is Life" ... Join us in the Celebration!